It was the best accomodation I haver ever seen. Excellent! 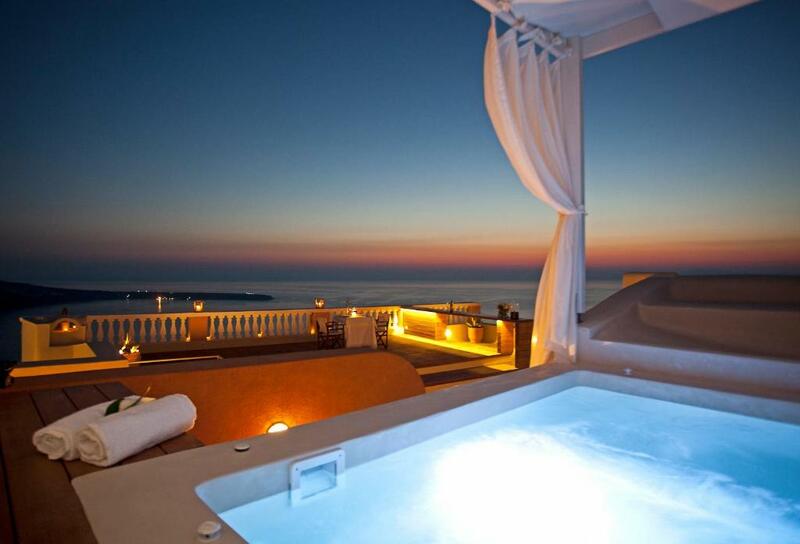 The best view on sunset in Santorini island. Lilla was very helpful and prepared breakfast like for king and queen. Superb!!!!! 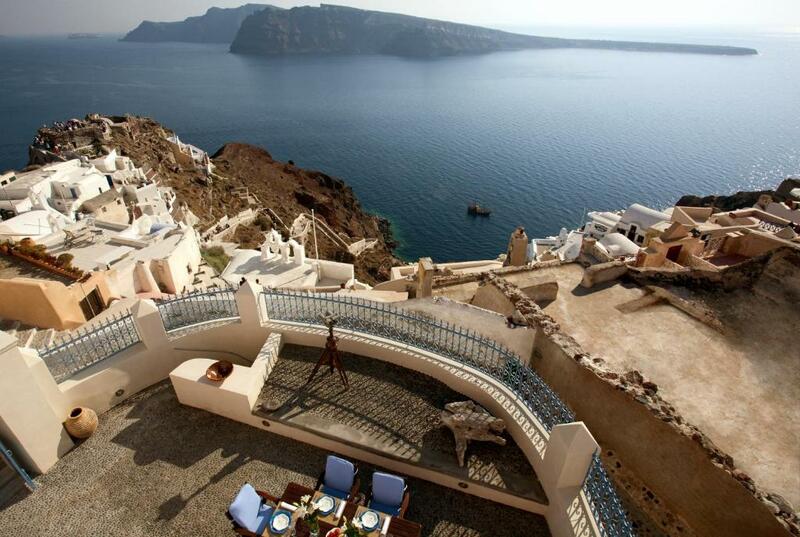 Great location in Oia village. Best view from the rooftop. 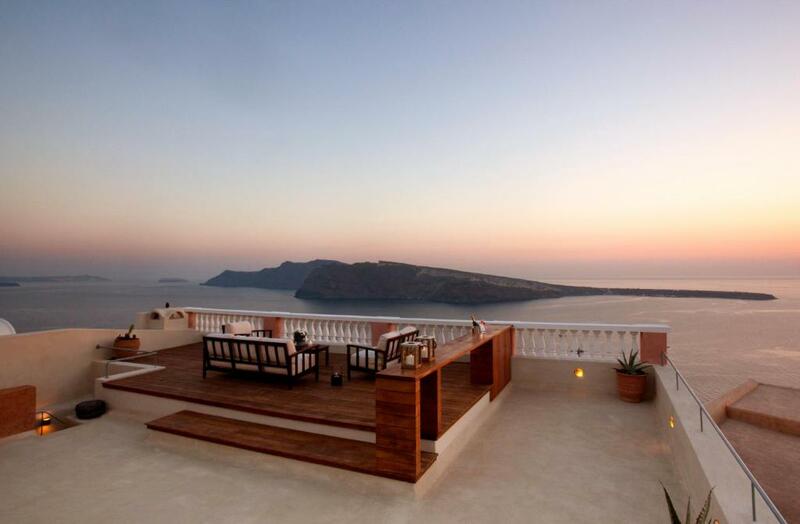 Private and luxurious villa. Best breakfast ever. Amazing view! Definitely the best place to watch the stunning sunset. Hosts Lily and her mum are very friendly and helpful. Tasty breakfast. We had a wonderful holiday. Highly recommended. Perfect greek style breakfast!! Perfect view from the rooftop!!! Absolutely stunning experience! Perfect for surprise proposal which we did, or a small wedding 20-25 people, which we may still do. If you want to feel like a royalty for a few days this is the spot!!! Everything!!!! The hosts are phenomenal - they met us at the drop off location for Oia and carried all our luggage. Lilia helped to arrange our taxi, etc. Her mother cooked an exceptional breakfast. 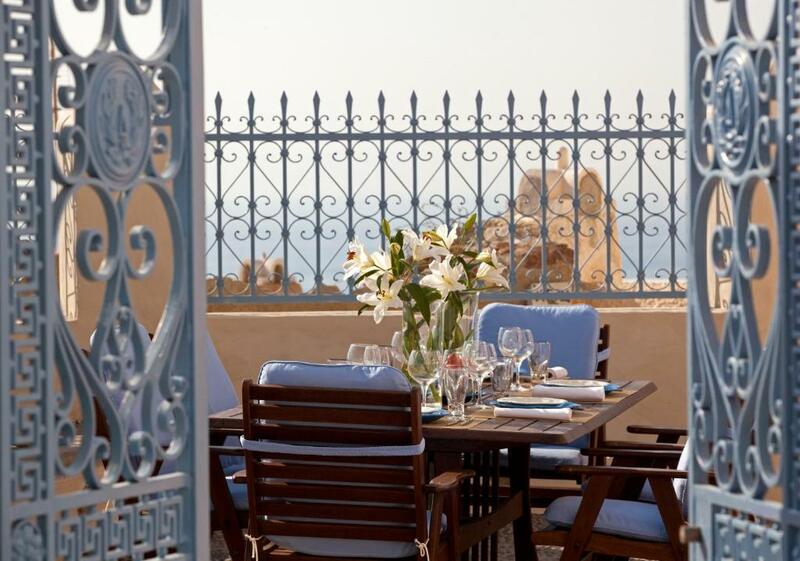 The mansion is superb, a definite must if you are staying in Oia. The views were spectacular from every angle. Beautiful historic home and Lily was incredibly helpful with recommendations, delicious breakfast and making sure our stay was perfect! We hope to visit again! A unique, spacious 4 bdrm/3 bath home with breathtaking views in a prime location. We started each day with an amazing breakfast out on the patio prepared by caretaker Lily's mom Nadia. Amazing, home cooked, beautiful gourmet spread of fresh food prepared with such care and thoughtfulness. She was incredibly lovely, and also changed the towels and cleaned the villa each day. Beds were super comfy and linens were clean. Great wifi & air conditioner once you know how to operate it, Sonos speakers were great. Lock in a great price for Oia Mansion - rated 9.3 by recent guests. 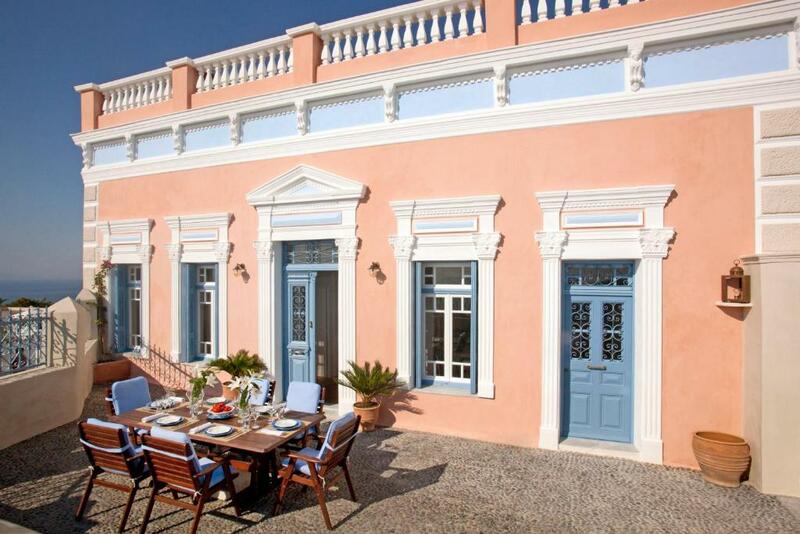 Oia Mansion in Oia provides accommodation with free WiFi, 3.7 miles from Cape Columbo Beach. 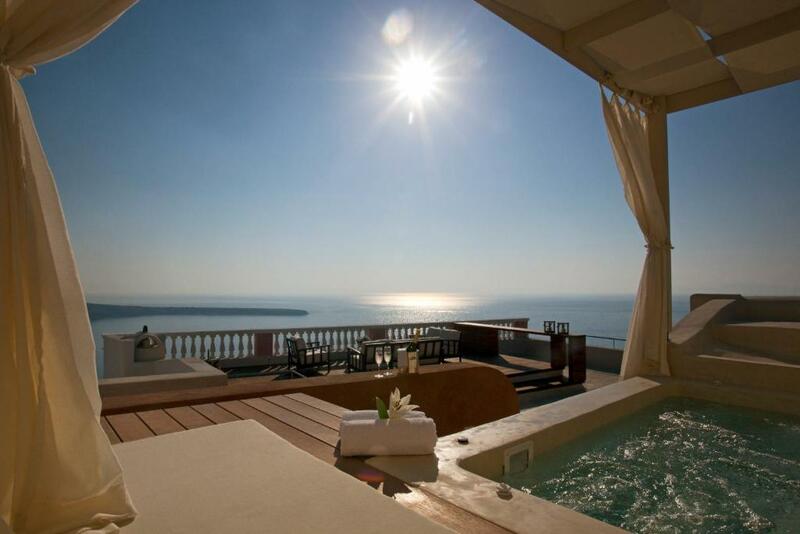 With sea views, this accommodation offers a terrace. The villa is fitted with 4 bedrooms, a fully equipped kitchen with a dishwasher and an oven, and 2 bathrooms with a hot tub. A flat-screen TV with satellite channels and a DVD player are provided. The reception at the villa can provide tips on the area. 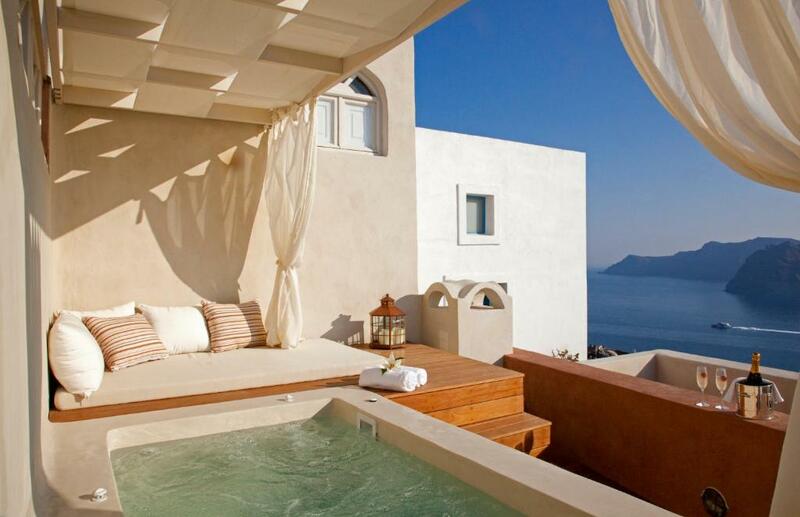 At Oia Mansion guests are welcome to take advantage of a hot tub. A babysitting service is also available for guests at the accommodation. Naval Museum of Oia is 100 yards from Oia Mansion, while Port of Koufonissia is 2 miles away. 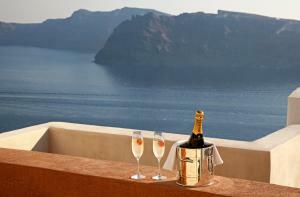 The nearest airport is Santorini International Airport, 10.6 miles from the property. Oia Mansion has been welcoming Booking.com guests since 19 Jul 2013. When would you like to stay at Oia Mansion? - a bathroom with bathrobes, a hairdryer and free toiletries. Other exclusive services are offered at an extra charge, upon request and bookable in advance: transfer to and from the airport or port, professional tour guides; chef and waiter services; babysitting; cocktails on the terrace during the sunset, beauty sessions, yoga and massage, scuba diving, horseback riding, trekking, sailing, water sports, helicopter tours, wedding planner. We love hosting guests from all around the world and get to meet different cultures. Our fully equipped Mansion serves our guests by providing exquisite services and facilities. Hospitality has been always a great passion and we are really proud that every guest wants to come back and does literally do not wish to leave. We are looking forward to welcoming you all. 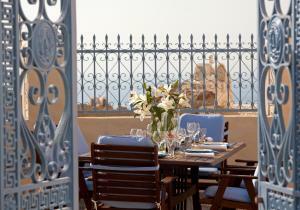 We are looking forward to offer you a life time experience in our traditional hospitality and exceptional standards... The Mansion offers you full concierge service on a complementary basis. We will meet you at Oia's post office, greet you & take care of your luggage. We will show you around the villa & take care of all your concierge needs as listed below: •	Car - motorbike rental & transfers to & from the airport & port •	Arrangement of tours, helicopter tours, excursions & professional tour guides for all museums e.g. the maritime museum in Oia & the museum in Akrotiri (17th cent BC) •	Arranging restaurant reservations •	Wine tasting •	Caterer, Cook, Chef and Waiter services •	Procurement and placement in fridge & cupboards of products of client choice from the super market, before your arrival or during your stay •	Baby Sitting •	Cocktails on the terrace during the sunset •	Laundry & ironing service •	Hair dresser, manicure & pedicure services, beauty sessions, yoga & massage •	Arrangement of activities: scuba diving, horseback riding, trekking, sailing, water sports Civil Weddings, wedding & reception & Commercial use of the Mansion. House rules Oia Mansion takes special requests - add in the next step! Oia Mansion accepts these cards and reserves the right to temporarily hold an amount prior to arrival. Kindly note that children up to 6 years old can be accommodated free of charge upon request. No enough space for shower, rooftop timber floor is un-level. We had little assistance from management and mostly had to figure things out totally on our own. The caretaker Lily met us at our taxi upon arrival, showed us around the house and gave us a key. She didn't leave us a phone number or any way to contact her if we needed assistance and we were so tired upon arrival we didn't think to ask. We didn't see her again until our departure 5 days later - she never stopped by, never called. On our first full day we lost electricity - we don't speak Greek and had no way to call her for assistance. We learned her sister works in a store nearby and went there to ask her to get a message to Lily about power outage but we never heard from her. Fortunately the power loss didn't last long since it was 95 degrees. We lost electricity again the following day as well; for about 90 mins again. At check in she didn't show us how to operate the air conditioning. On our first night we were unable to cool one of the bedrooms whose unit was turned off until the following morning when we luckily found a remote control that operates the A/C units. FYI there are no thermostats, just the one remote control is used on all the individual A/C units to adjust temps in different rooms. We went to the store several times to see caretaker Lily's sister who kindly sent messages to her for minor assistance like arranging taxi to airport. She never contacted us or confirmed the taxi but thankfully it was arranged for us. Her sister eventually gave us Lily's phone number but our cell phones weren't set up for international calls and the office phone in the mansion had no dial tone. Considering we spent the equivalent of a mortgage payment each night & the website lists concierge service we were disappointed in her total absence & the lack of response/availability on a few small items.